A classic ladies T-shirt can be mixed and matched with several outfits to suit many different occasions. 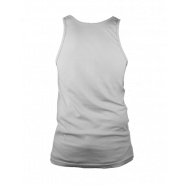 We supply top quality ladies tank tops and crewneck tees that will last through numerous washes without coming apart or losing their shape at all. 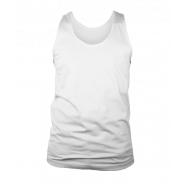 This means that they are ideal for creating custom printed women’s T-shirts. Our ladies tank tops are available from size small to 2XL, and our crewneck tees for ladies come in sizes small up to and including XL. Many women shy away from the idea of customizing T-shirts or tank tops because they think it will take too long or be too complicated to do. However, our custom online design tool makes the process really quick and easy. All you have to do to create your very own custom women’s T-shirts is select the text, artwork and/or images you want printed on your garment and upload them to our online design tool. If you are stuck for ideas, there are several on our site to help you get started. Women’s custom T-shirts can be made for many events including mom’s groups, sports clubs, family reunion get-togethers, school or college activities and so much more. If you have a group of friends, providing each of them with women’s custom T-shirts can not only help them remember a special day or event; they will also have a tangible item that they will be able to cherish for many years afterwards. 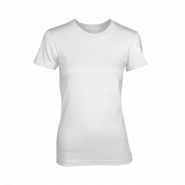 Get in touch with our team today if you would like to find out more about obtaining your own ladies printed T-shirts or feel free to try our online design tool for yourself - and see just how easy it will be to obtain customized ladies T-shirts from us. 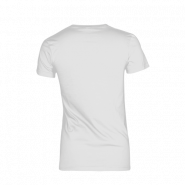 Freshly Baked Tees "Online T-shirt designer is a superior service which gave me the opportunity to enrich my wardrobe with comfortable and awesome stuff."